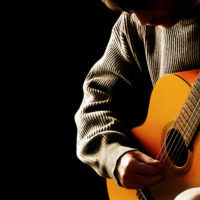 You have been playing classical guitar for many years, you love the feeling, and you want more. You consider yourself an advanced classical guitarist, and you are seeking to refine your skills in London. If you think it’s time to become a master classical guitarist, it’s time to work with a proven master guitarist, Stefan Joubert. Stefan is the founder and lead teacher at the London Guitar Institute where he works with advanced classical guitarists like you to learn the tips and techniques used by the Pros in bands and concerts around the world. Stefan has worked under master guitarists himself. He knows all the variations of classical and the rich history and cultural heritage that inspired it. He’s familiar with all the great classical players of the past as well as the current ones. Let Stefan guide you to that next level at his Guitar Institute of London, a place where you get personal attention, training, counselling and advice on all things classical. It’s time to break through musical barriers, time to emulate your favourite classical guitarist. Learn to explore the repertoire from the period you admire, whether it be the Renaissance era, the Baroque, the Romantic, the Modern era, or Contemporary. There are many classical guitarists for whom pieces have been composed. They include John Williams (Australia), Ricardo Gallen (Spain), Eliot Fisk and David Starobin (United States), Pablo Gomez (Mexico) and Sanel Redzic (Bosnia and Herzegovina). But there are many more. As an advanced guitarist, you can appreciate and learn to play some of the great pieces of classical music, Like Tarrega’s Recuerdos de la Alhambra, or maybe Albeniz’s Asturias (Leyenda). Whatever style of classical you prefer, Stefan Joubert will help you master it. Stefan starts with where you are today and discusses your goals. What types of classical music do you like and what do you hope to accomplish? Stefan will teach you the practice routines you need to become a top classical guitarist. The truth is – excellent habits will set you apart from the herd and make you the classical guitar player that you have always wanted to be! Depending on your individual needs, you may be working more on arpeggios, slurs, guitar scales, other left-handed considerations, or other techniques like rasgueado or guitar tremolo. Many advanced guitarists have difficulty with trills and other extensions of left-hand slur technique. Let Stefan help you get better at it. Learn the different effects from straight and angled left-hand position. Learn to practice in long, short and burst practices. Learn to use small bursts in practising cross-string trills. Learn to incorporate three-octave scales and speed bursts into your technical repertoire. 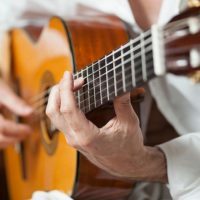 You will get a chance to improve your knowledge and skills of classical guitar and learn some of the tricks and techniques that made classical guitarists legends. You will enjoy a deeper understanding of classical music and its history and have a better appreciation of overall musicality. And after developing a professional level of skill and performance, you will get a chance to play in classical recital with peers, without being judged. It’s your recital and your chance to be a headliner. There are two locations for advanced classical guitarists in London to work on their craft. Only 5 minutes from Chancery Lane station, in the heart of the City of London, you will be welcomed to our location in EC4. You will also be happy to attend our prestigious facility in the heart of Mayfair W1 near Park Lane. It is one of the most exciting retail centres in the world. As an advanced classical guitarist, you are eligible for professional-level training at the London Guitar Institute. Lessons take place weekly at set times and days. Contact us today. Become the best classical guitarist that you can possibly be! As an advanced classical guitarist in London, you have already shown a high level of skill. If you want to push yourself to the professional level, you should have the best training available. Now is a critical time for you. Choosing the right classical guitar teacher in London will make all the difference in the world. We look forward to working with you to begin the journey. Become a proud member of the London Guitar Institute, and we will help you become the professional classical guitarist you want to be. Contact us for more info about our advanced classical guitar lessons. We promise a prompt and personal reply within 1-2 working days. 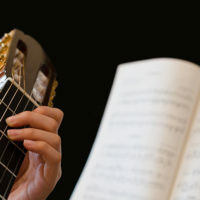 Discover more about our classical guitar course options in London. Start your course today and become the classical guitarist that you have always wanted to become!